We are recognized for our beautiful custom craftsmanship. Locally owned and operated since 2003. Not a franchise! 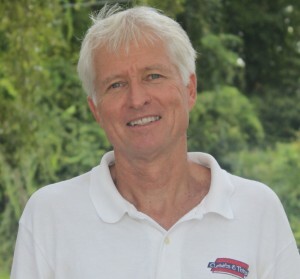 Closets and Things is the premier custom closet company in Wilmington, NC. We specialize in organizing all areas of your home such as walk-in closets, reach-in closets, home offices, garages, pantries, laundry rooms and home entertainment areas. Our expert designers are trained to maximize every square inch of storage space and to help you achieve the beautiful, custom built-in cabinetry look that you prefer. Efficient storage can become an organizational masterpiece in the right hands. Get in touch – let us start designing your perfect storage solution today! 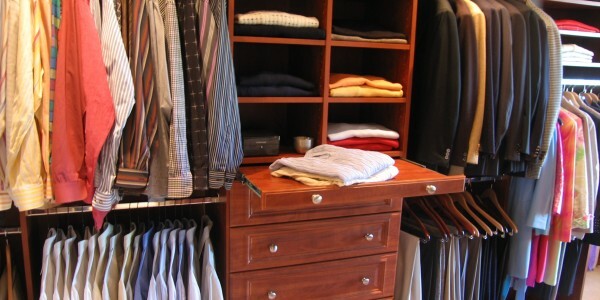 Are you getting the most out of your closet in your new or existing home? 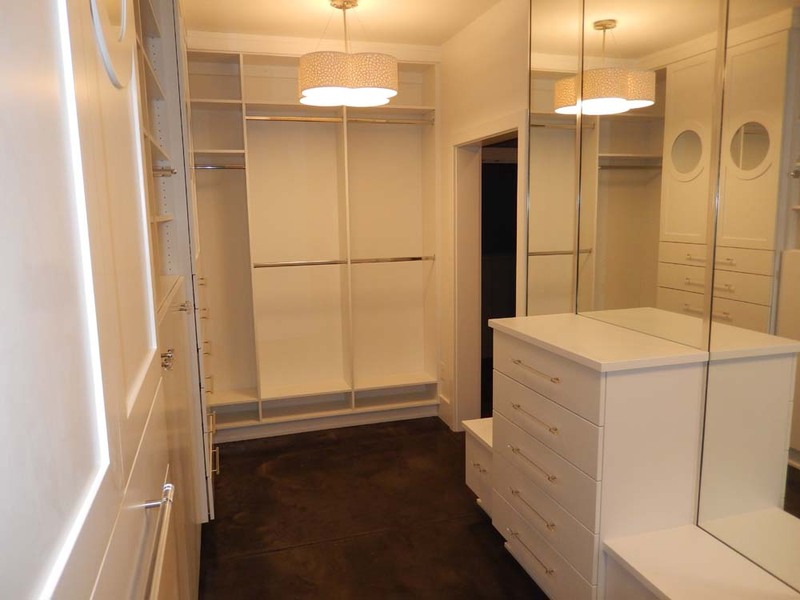 Take a look at our gallery of closets and contact us for a quote! Reach in closets can very quickly become cluttered. 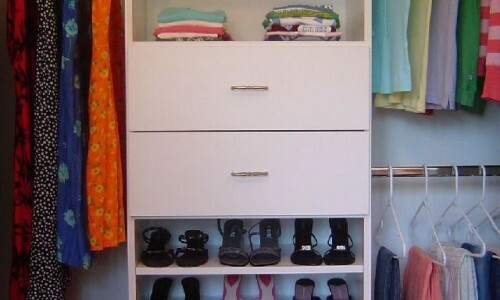 Let Closets & Things build you a custom reach in closet to help organize your life. Home office feeling a bit drab or dated? 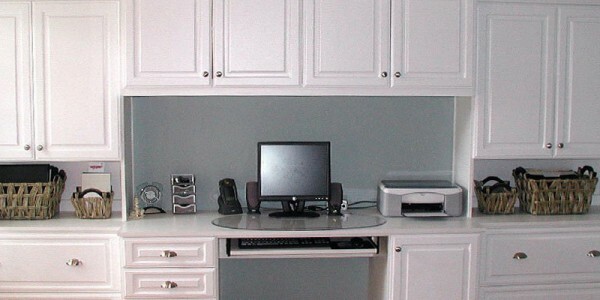 Then it is time to let Closets & Things build you a custom home office, just they way you want it. Closets and Things did a fantastic job designing our new master closet. We no longer have things in other closets or under the bed! We could not believe the extra space this design created! Sue and John at Closets & Things were simply a joy to work with. This was my first experience designing custom cabinetry and Sue was patient and informative throughout the whole process.